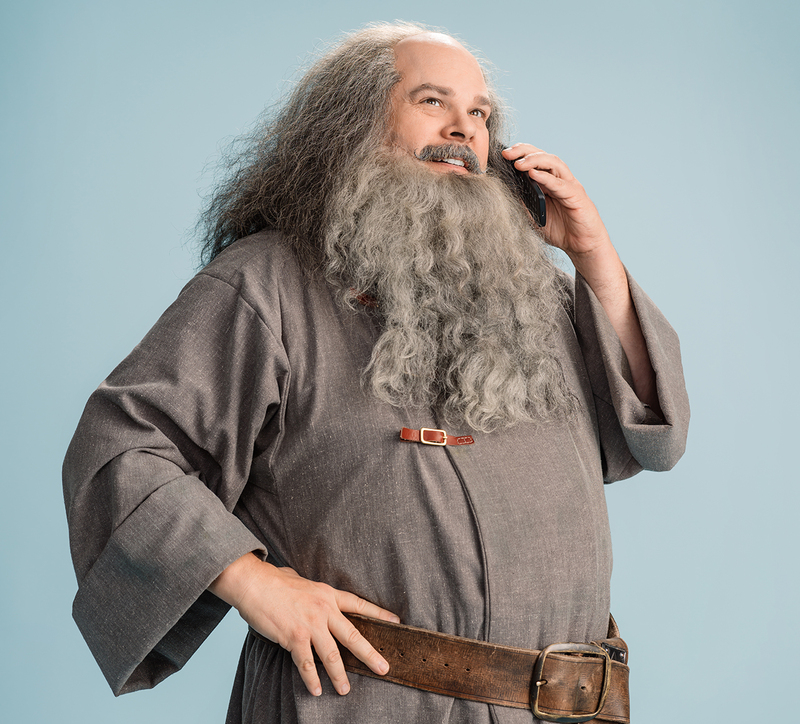 BYUtv's newest original scripted adventure comedy series, Dwight in Shining Armor premiered on Monday, March 18, 2019, at 7:30 pm MT. We've already gotten to know the warrior princess and the champion, but now, it's time to meet the court magician. …introducing Joel McCrary, the actor behind Baldric! Joel: Hey fans of the show, this is what I'd like to say to you. Joel: If I had to describe the show in one word, I would call it fun-tastic, or adventur-larious. Or just good. Probably good. Really good. 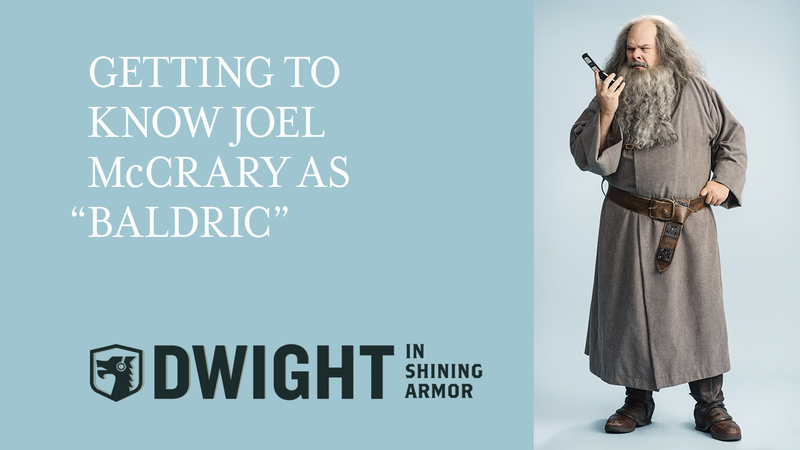 Joel: The show's called Dwight in Shining Armor. It's about a court magician, which I play, Baldric, and his princess that he's sworn to protect. We end up in a really bad situation where we're surrounded by all these enemies, so he does this spell of last resort called the champion spell, puts her to sleep until a champion arises and awakens her with a kiss. Well, lo and behold, 1,000 years later, this kid Dwight stumbles in the hole, falls on top of her, his lips touch hers, wakes her up, he's now connected to her by fate to be her champion. Although it's not the way we expect, so Baldric definitely has his doubts about this champion. 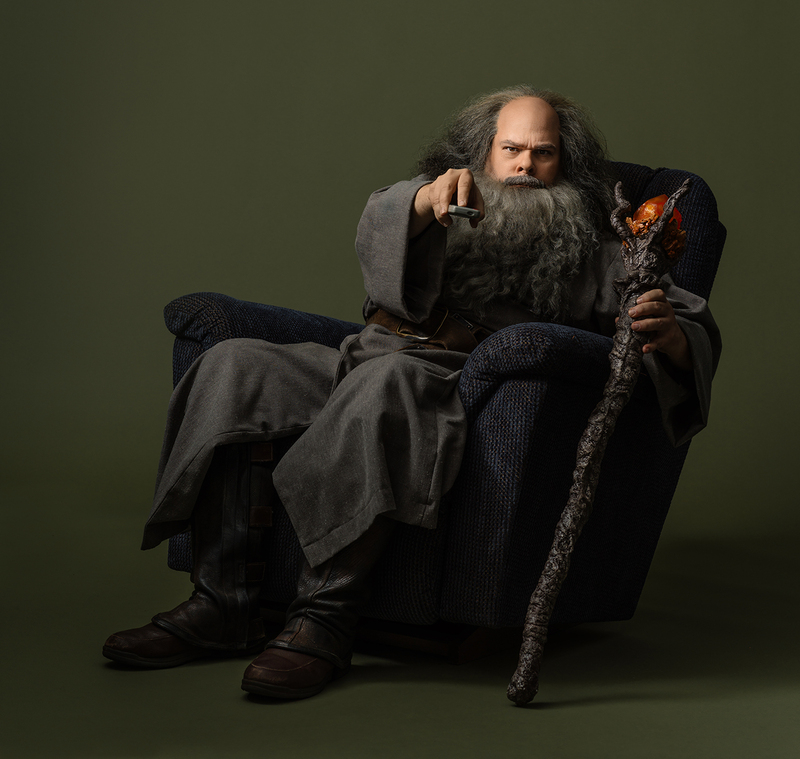 BYUtv: How similar are you to Baldric? Joel: I think the similarities between myself, Joel McCrary, the actor, and the character I play, Baldric the magician, is that we're just both devastatingly handsome. We're so good looking, the male model physique, cheekbones, the chiseled jawline, that's really where the similarities are. Oh, that and I can do magic in my real life. BYUtv: How did you prepare to play this character? 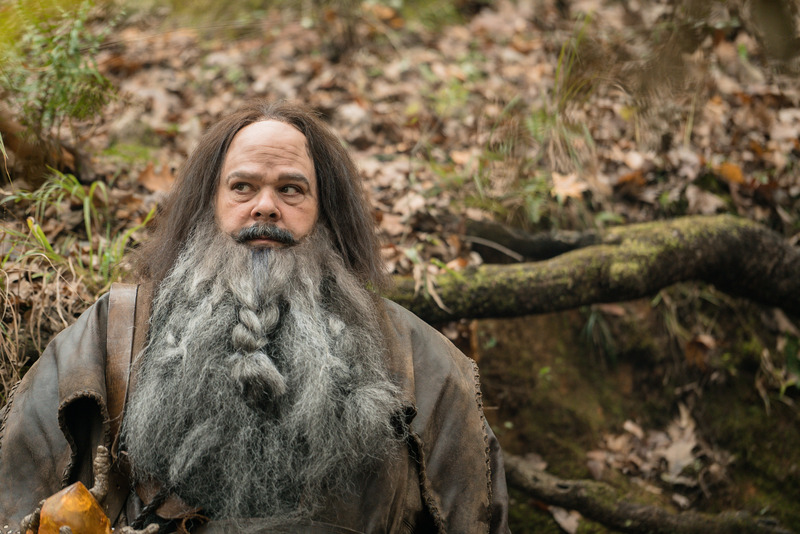 Joel: The way I prepared to play this character, Baldric, is before we came to shoot, I would just glue various things to my face so this beard didn't seem so bad. So, I would glue like a brick on my face and just walk around all day long. I got looks, but you know, I was like, hey, I'm preparing to be a wizard, and they just thought I was insane. Maybe I was, but I would just glue things. I glued a kitten to my face, and then when I got here and had to glue this thing onto my face, it didn't seem so bad. At least it's not alive and scratching. BYUtv: What do you want viewers to take away from this show? Joel: Some of my favorite memories I have of being a kid was sitting around with my family and watching our favorite TV shows. So, I really hope that we can do that, and that families come together and watch it and laugh and be talking about the show over dinner later. The show is made for kids. We have enough in there that I think the parents and grandparents are going to enjoy it, too. The parents or grandparents, when the kids aren't around, they might go, let's watch an episode of Dwight, on their own. Watch Dwight in Shining Armor, I guarantee a good time. If you don't have a good time, then you don't have my address so you can't complain to me. Veteran actor Joel McCrary plays Court Magician Baldric, whose notable roles are Prime Minister Motaz in "The Princess Diaries 1 & 2," Don the mechanic on "Seinfeld" and Bobby Wasabi on Disney XD's "Kickin' It." His other credits include "Thor," "American Beauty," "Over the Hedge," "Smurfs 1 & 2," "Bones," "Justified," "The Middle," "Robot Chicken" and "Mystery Men." This year, McCrary is playing the Judge on season two of NBC's "Trial & Error" that will air July 19. For another look into Dwight in Shining Armor, check out this interview with the show creators, LeeAnne H. and Brian J. Adams, this interview with Sloane Morgan Siegel who plays "Dwight," and this interview with Caitlin Carmichael who plays "Gretta." For all news, sneak peeks, and announcements, follow Dwight in Shining Armor on Facebook, Instagram, and Twitter!